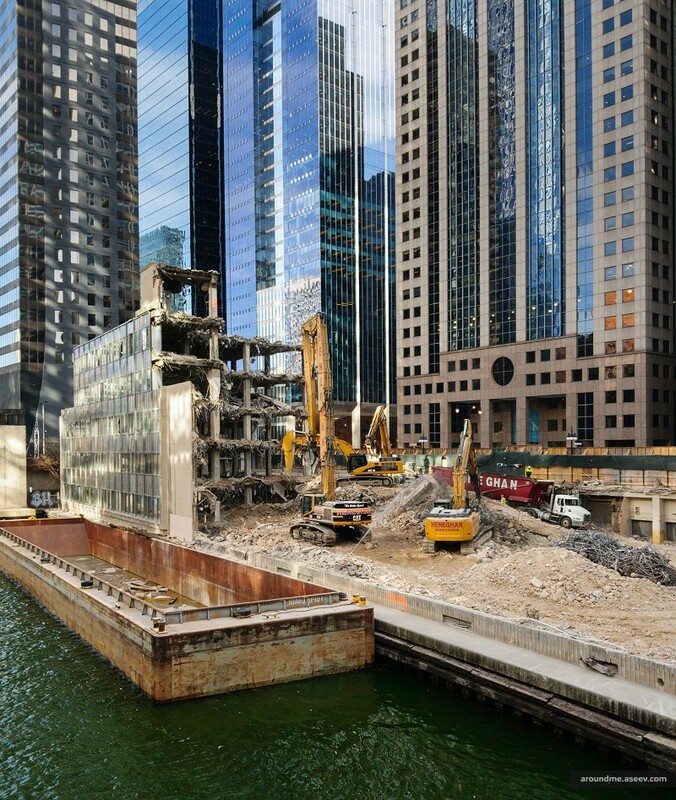 #littlewasleft of 110 N Upper Wacker Drive - former headquarters of General Growth Properties Inc. 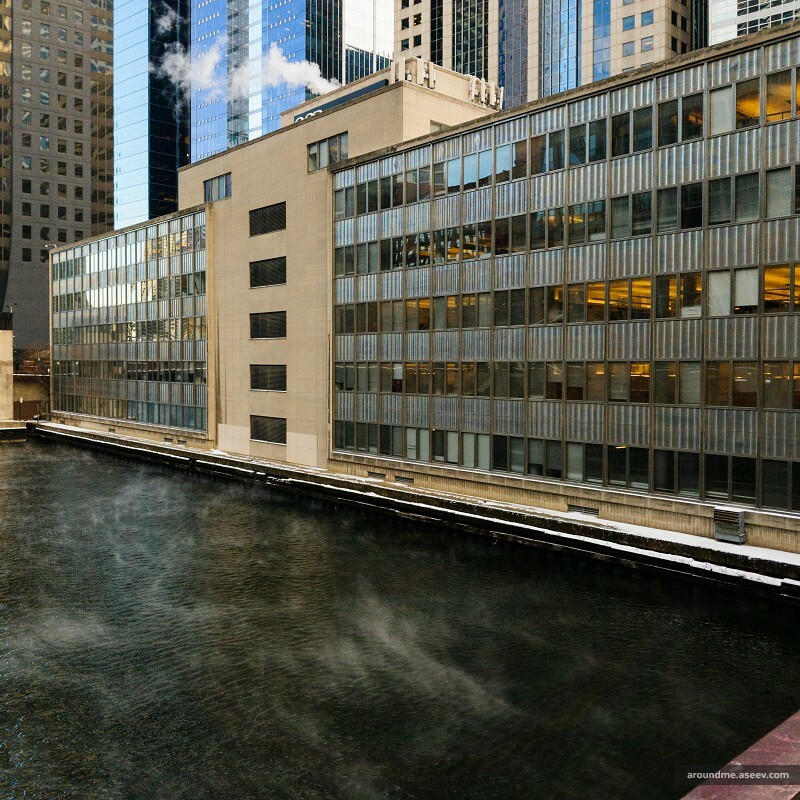 It was cold in Chicago at the end of December so that the Chicago River gave off steam. It was an unusual scene for me and I took a picture. The photo came out less impressive than the actual scenery and I decided to not post it. But in a few weeks demolition of the building in the background had started, by mid-March #littlewasleft, and now it is completely gone. I've learned that this five stories tall building was the headquarters of General Growth Properties Inc. (110 N Upper Wacker Drive). It should be replaced by a modern riverfront tower. Let's see.